How do you put together remarkable pieces of content as a real estate investor or agent on the web that are useful and effective? Creating content can seem like a daunting task. 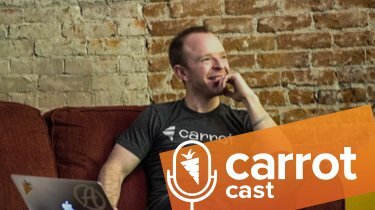 On this episode of the CarrotCast, Carrot Content Strategist, Mike Blankenship, and Trevor Mauch discuss the practical things you can do to seamlessly produce any piece of content, from the birth of an idea to the publication of a post. And, give actionable tips to make your content better, build more credibility and help more people with great content. 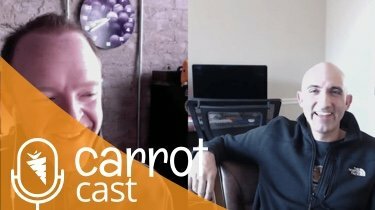 Be sure to listen to our other episodes of the CarrotCast at www.carrotcast.com. 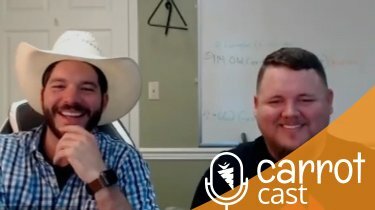 4:30 – People say “content marketing isn’t going to work for me” – how to make content marketing work for your business if you’re in a market that doesn’t have a lot of competition. 8:20 – How do you make your content marketing effective in a competitive market? Cutting through the market by solving a problem for your audience. 11:00 – The first step to creating content. The process for coming up with ideas and tools to find those ideas. 13:45 – Why every piece of content should be solving a problem for your audience. 14:55 – After finding an idea to write about and performing some keyword research, what is the next step to crafting useful content that is also great for SEO and social shares? 18:35 – Do this one thing after you’ve chosen a solid idea. 27:30 – Mike walks through his process for writing long pieces of content. 30:15 – Don’t let your content creation drag you down. Why you should start short and explore different topics and processes. 34:20 – Don’t procrastinate and be afraid. Why it’s important to hit the publish button. 42:25 – How long should written content be and some shortcuts to speed up the content process. 46:25 – Thinking outside the box. Where to look for ideas to write about that are indirectly related your topic.